This new key holder is designed for your belt. Easy to unsnap from your belt, easy to unsnap your keys. My eye glass cases were designed for the half size reading glasses. No more plastic case from the local drug store. 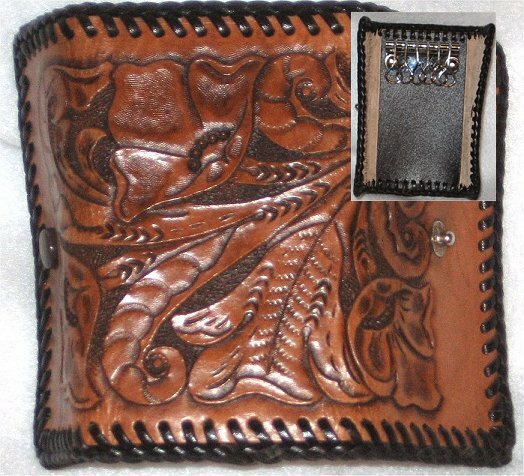 Hand made from leather, lined and unlined cases. 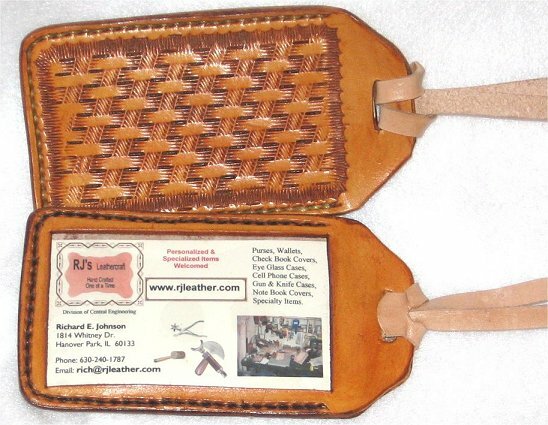 This key case holds 6 keys and folds and snaps to protect the keys and the inside of your pocket or purse. This luggage tag is designed to hold your business card. No more making out the ID card that never has enough room. This luggage is either hand stitched or laced. Tag has a card for address information. 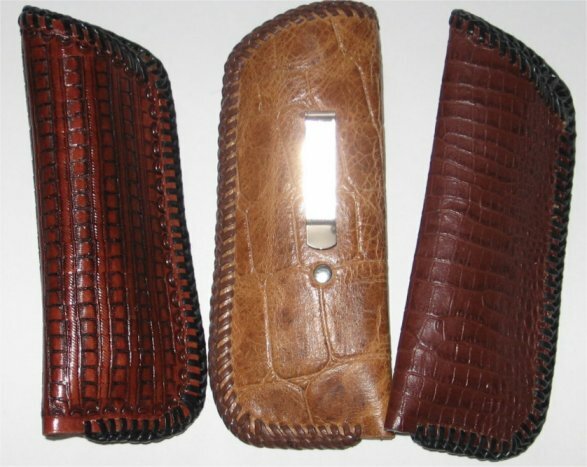 This key case is design to hold your keys in your pocket without damaging the inside of your pocket. Unsnap the strap and pull your keys out to use them. When done pull the strap and snap to store the keys in the case. This Key Fob is a special design that utilizes my Conchos. 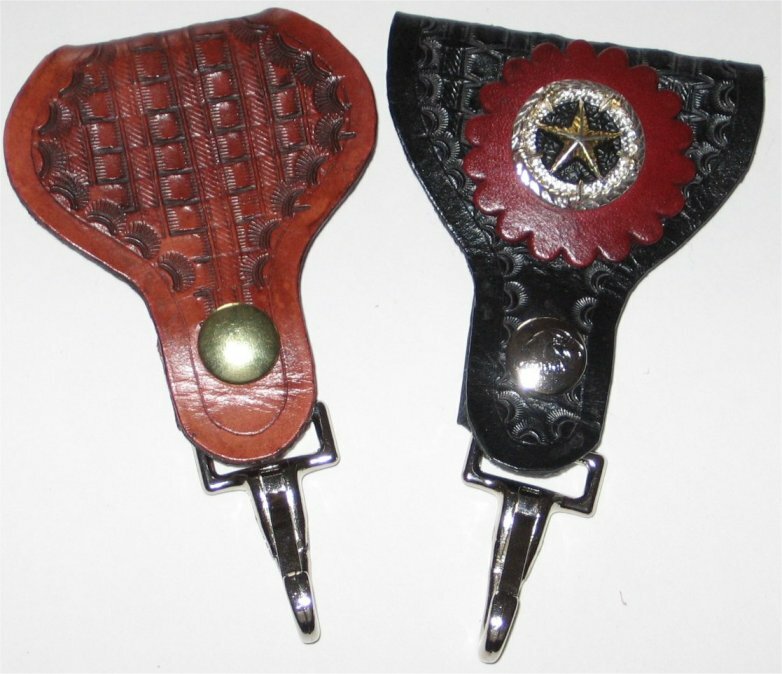 If you don't see the Concho you like, then check my Conchos in Stock.